Juicy JELL-O is a whole new spin on the classic gelatin dessert. 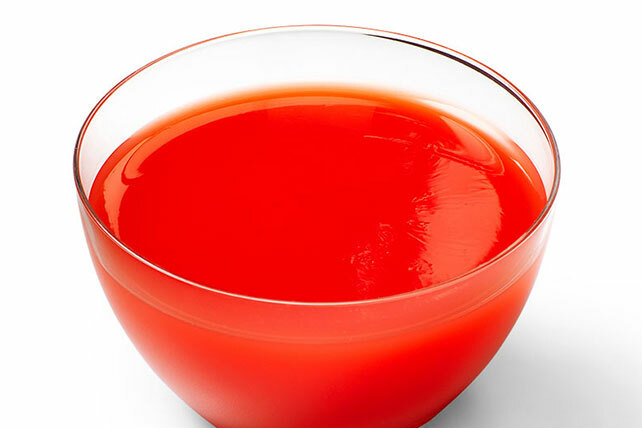 The addition of orange juice to the gelatin mix is the secret to our fool-proof Juicy JELL-O. Juicy JELL-O is perfect for when you need a unique dessert that everyone will almost certainly fawn over. Add boiling water to gelatin mix in medium bowl; stir 2 min. until completely dissolved. Stir in orange juice. Pour into 4 dessert dishes. Garnish each serving with 1 Tbsp. thawed COOL WHIP LITE Whipped Topping just before serving. Stir 1 cup sliced fresh strawberries into gelatin before pouring into dishes.